I’m really excited to share with you the front cover of my new book James and the Birthday Balloon. As you can see from the writing in the balloon, the other piece of news is that I’ve teamed up with the fabulous TV’s Dr Ranj (CBeebies Get Well Soon and ITV’s This Morning) who’s recorded an audio version of the story for me. A FREE copy of the audio book will be available with every purchase of the book. 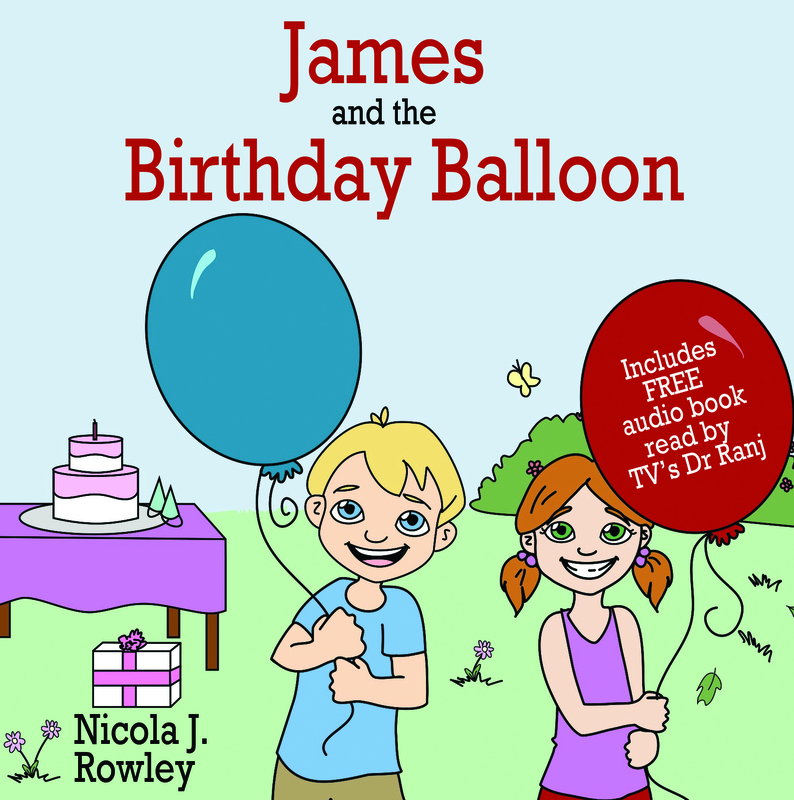 James and the Birthday Balloon is due to be published on 1st November. And as I did with James and the Amazing Gift, I’ve teamed up with another wonderful charity – this time Evelina London Children’s Hospital.